Home » Bride To Be » Looks » What To Wear For Engagement? What To Wear For Engagement? 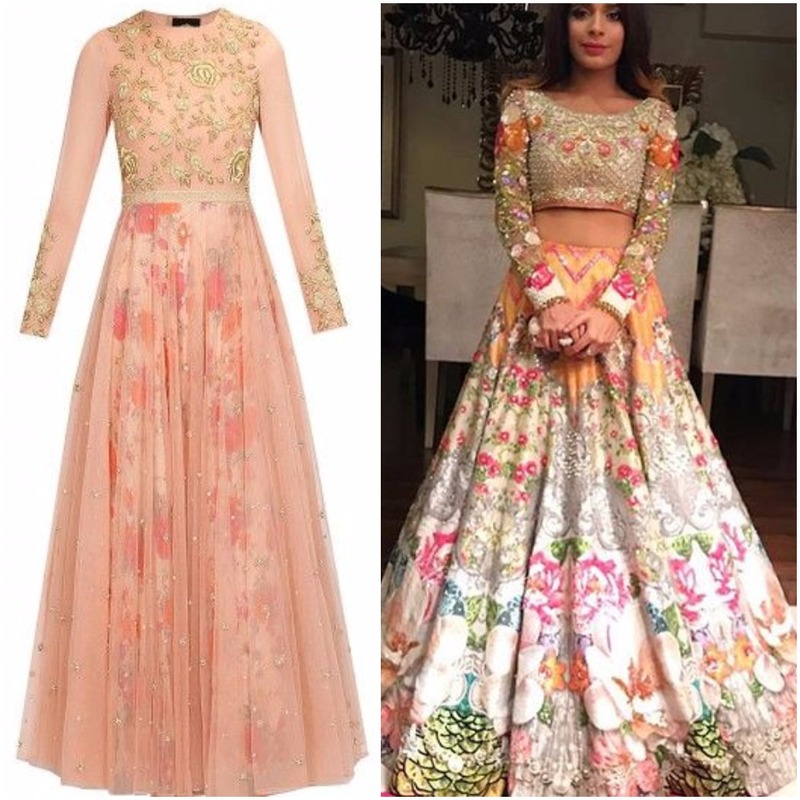 The wedding season is on and every bride has to face the same question…..what to wear for engagement or wedding. – Traditional silk sarees in Banarasi silk or Kanchivarams are all time classics which never fail to impress. If you like to dress up traditionally for the engagement then there is nothing better than this. You can have heavy embroidered blouses in matching or contrast colors to pep up the look. 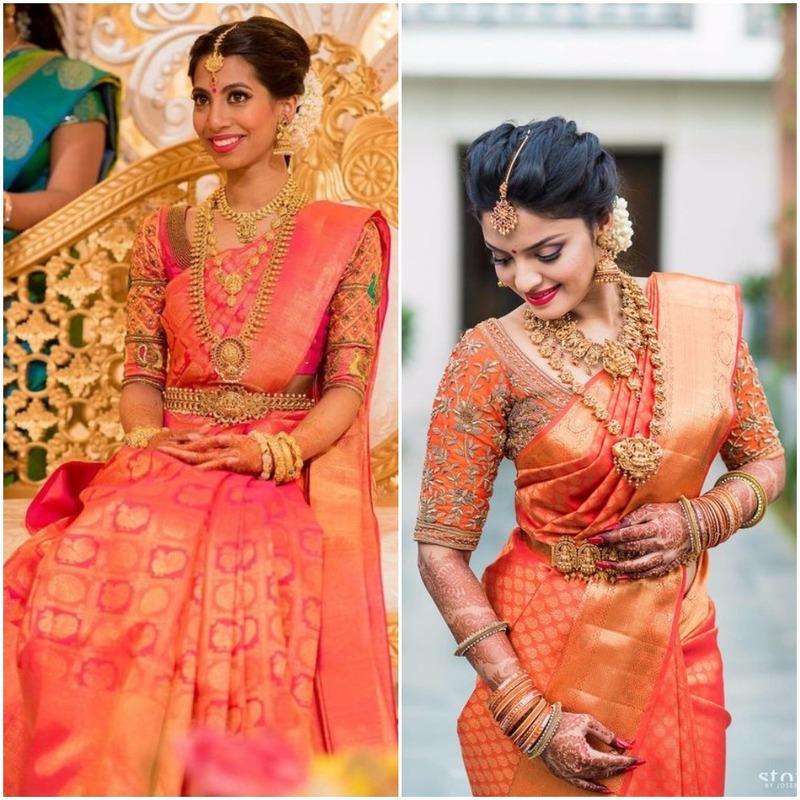 Traditional jewelry and gajra or fresh flowers can complete the look. 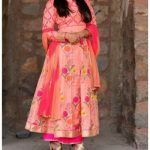 – Long Layered Dresses look pretty and different than the normal three piece lehngas. Opt for a two piece layered dress like in the first picture where there is a sleeveless dress inside and a front open jacket completes the look as a outer layer. Or take an inspiration from the second picture and go for a single piece layered dress with a high and low hemline or bottom. 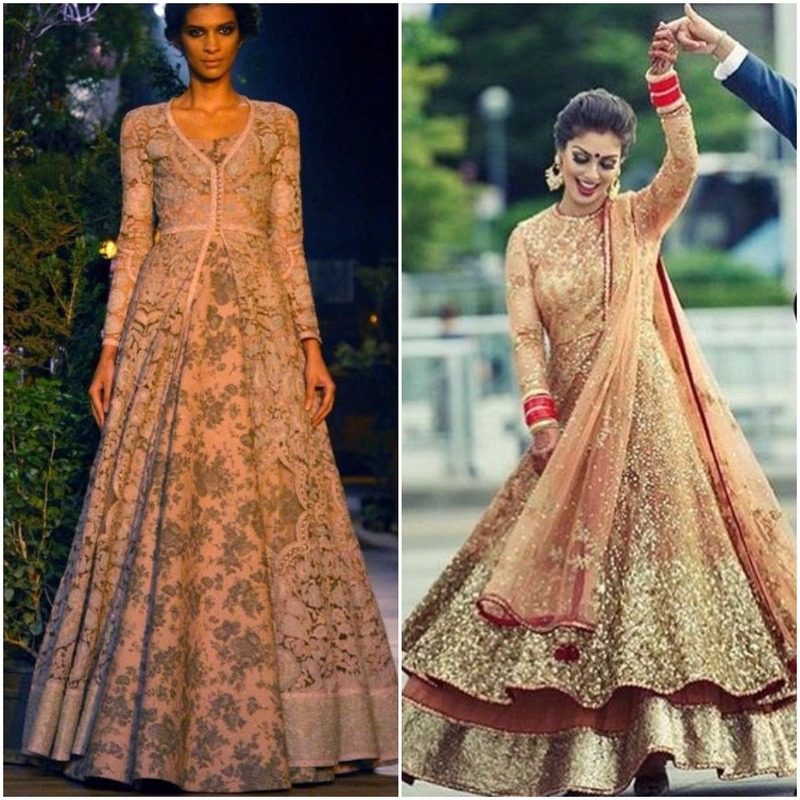 – Brocade lehngas are so much in fashion that you should wear it for any one occasion of your’s. They look so graceful that no fancy embroideries can match their grace and look. Take it with or without dupatta. 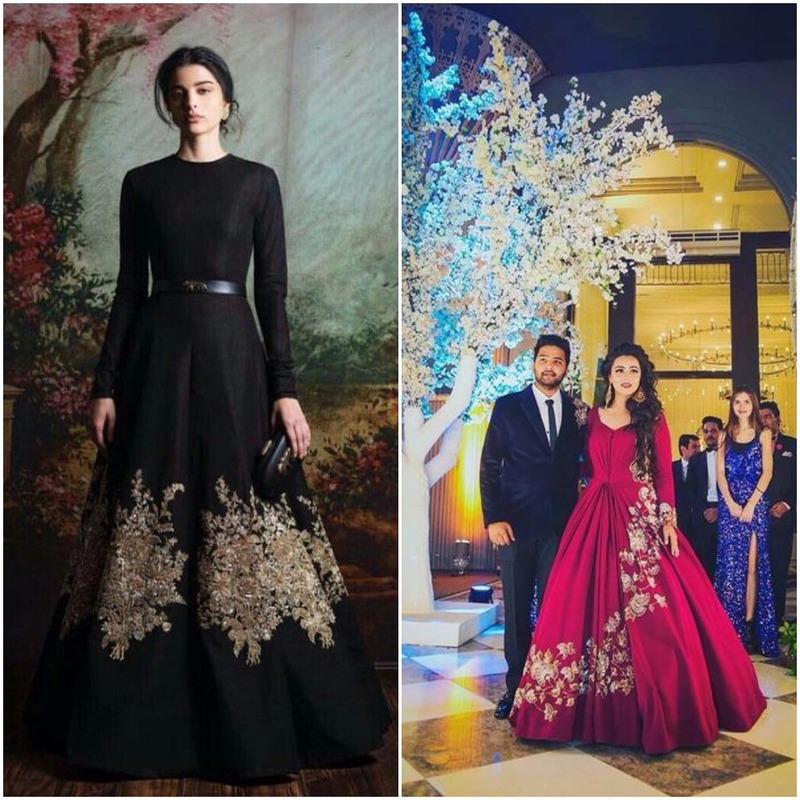 – Gowns with unusual embroidery placements are also in vogue these days. Not everyone loves their dresses to be fully embroidered from head to toe. 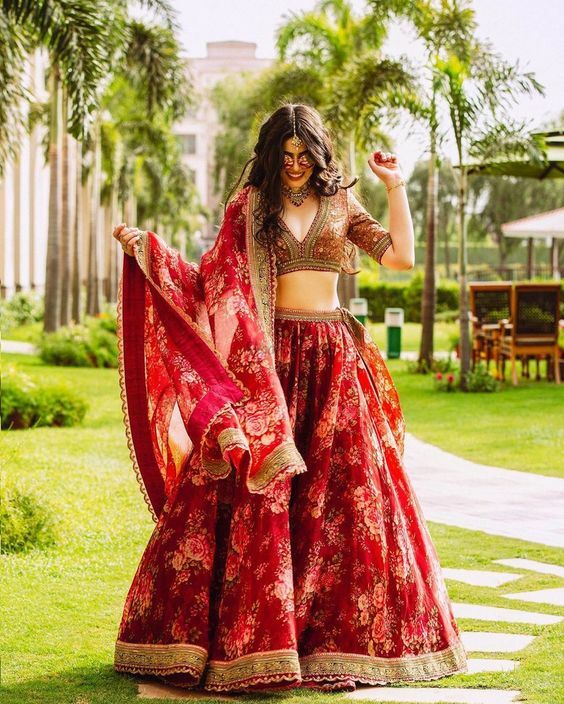 Also for engagement you can opt for something light and unique, so pick up a dress which has abstract or unique embroidery or print placements. – Tulle Gowns for the one who love Cinderella and the Barbie look. 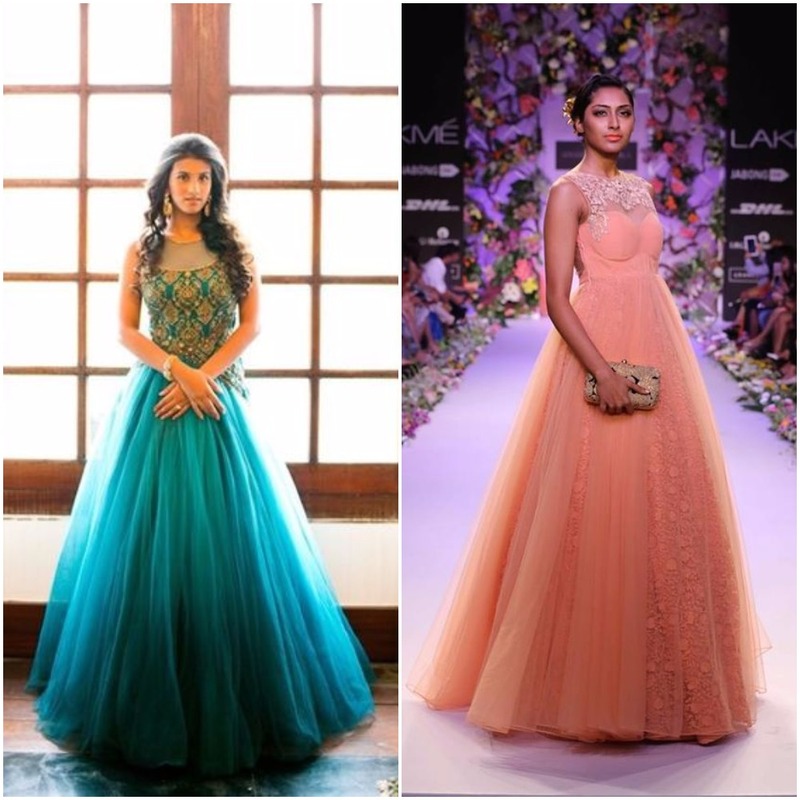 Single color gowns look nice on net, though same color shaded or ombre effect is acceptable. Nice tone on tone embroideries and layering look good on net or tulle. – Prints are still very much in fashion, so go for them undoubtedly. Again layered dress with a mix of print and net is one option. Otherwise bold and abstract prints can be further highlighted with a mix of colored sequence and stones for a bling effect.